HUGE SUN-DRENCHED PATIO! 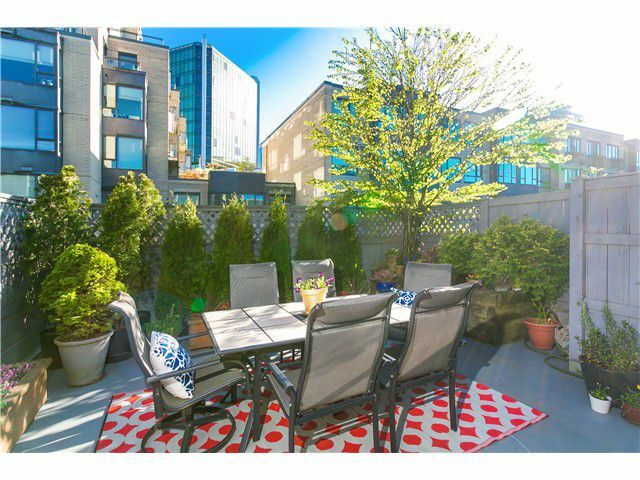 Bright & spacious quiet 1 bed & den with over 400 sf of lush outdoor space in the best part of Fairview! Tastefully updated open kitchen features s/s appliances, gas range, modern cabinetry & tons of storage.Large living room with proper dining area & quality tile & real hardwood flooring throughout. Den perfect for pantry or home office. Owner lived-in and in pristine condition. Steps away from shops, restaurants, off-leash dog parks, Whole Foods, VGH, Granville Island/Olympic Village/False Creek, Cambie Corridor & the Canada Line. Well maintained bldg with proactive strata & bike storage. Pets & rentals allowed. 1 prking. Just in time for summer THIS WON'T LAST!